Get a free garlic bread with cheese on orders over £13.00. Collection only. To claim this offer please write in the comments box on the next page. Any 12" pizza - 9" garlic bread with cheese - large chips & 2 cans of Pepsi. Any 16" pizza - 14" garlic bread with cheese - regular donner kebab - any quarter burger with chips - 1.5L bottle of Pepsi. 2 regular donner or chicken shawarma kebabs - 2 quarter pounder cheese burgers or chicken burgers - chips - 1.5L bottle of Pepsi. 2 samosas - 2 seekh kebabs - chicken tikka - 2 onion bhajis - 2 poppadoms and salad. Cheese, BBQ base, chicken, onions & peppers. Pepperoni, ground beef, onions & chillies. Mushrooms, ground beef, onions & chillies. Chilli base, chicken tikka, ground beef, onions and jalapeno peppers. Extra cheese and any 2 toppings. Excluding donner, chicken tikka & seekh pieces. Chicken tikka, seekh pieces, ground beef, peppers, onions & chillies. Donner meat melted under the cheese. Chicken Shawarma melted under the cheese. Ground beef, pepperoni, salami, ham & chicken. Mushrooms, pepperoni, salami, tuna, onions, prawns, peppers, sweetcorn & pineapple. Chicken Tikka, Seekh pieces, Donner Meat and Chicken Shawarma. Beef burger pizza folded with cheese. Cheese, tomato & chicken donner melted under the cheese and wtih a sauce tub of your choice. Chicken tikka, seekh pieces, lamb and chicken donner. Beef burger folded with cheese. All kebabs are served in pitta with salad & sauce. To have Naan bread or Stir Fry option (fried onions, peppers & tomatoes in special sauce), simply click 'Select Extras'in your cart. Minced meat with special seasoning. Red meat also known as shawarma. Only served on naan with Seekh. Donner Meat and Chicken Shawarma. Donner Meat & Chicken Shawarma. Chicken Kebab and Chicken Shawarma. Chicken Kebab & Chicken Shawarma. Donner Meat, Chicken Shawarma, Chicken Tikka and Seekh. Beef burger with donner meat. Beef burger with chicken shawarma. Beef burger with chicken donner & lamb donner. Chicken burger and cheese burger. 100% chicken breast served with chips & salad. Breadcrumbs coated chicken fillet topped with sauce & chips. Breadcrumbs coated chicken fillet topped with sauce, cheese, onions & garlic. Breadcrumbs coated chicken fillet topped with sauce, cheese & mushrooms. Breadcrumb coated chicken fillet topped with sauce, cheese, chilli, pepperoni & pepper. All served with chips & a choice of salad & sauce. 9" cheese and tomato pizza - fries - fruit shoot. 9" cheese and tomato pizza - chicken nuggets - fries - 2 fruit shoots. 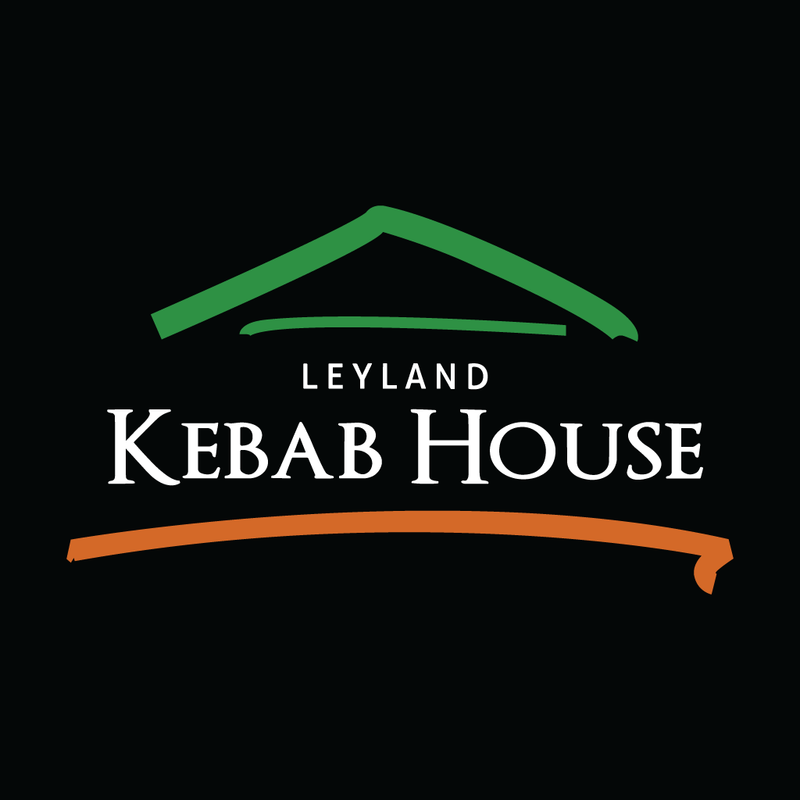 We had a problem with our original order we rang leyland kehbab house and they were more than happy to sort it out. The replacement food was to a very high standard and we will be definitely ordering from them again. I ordered a chicken kebab but it came with No salad. I found that strange especially with the cost of the kebab. Apart from that the delivery driver came to the door speaking to someone on his mobile phone which i found rather ignorant. The food is excellent! We had a mixed kebab and a calzone. The only down side was the comments box wasn't read so I got onions when I said none. This has happened every time we use the app so not sure if it's a glitch. Great value for money. Fast delivery. Tasty! !